1. 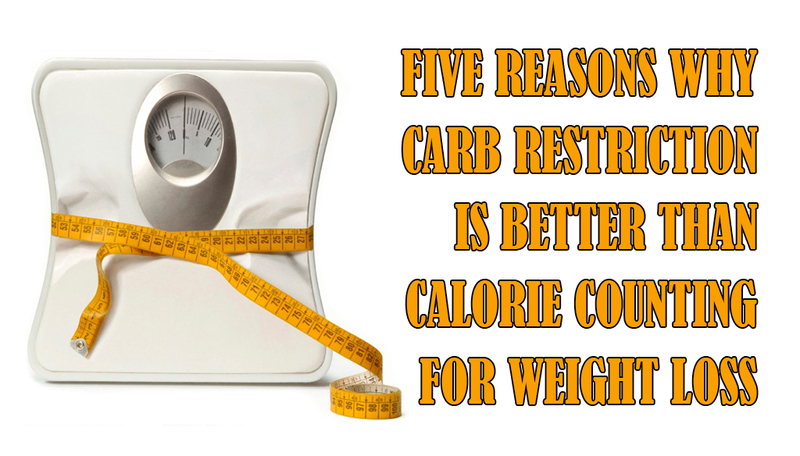 Just about every reliable study done on weight loss has shown a carb restricted diet to either match or perform better as a weight loss method than a fat restricted diet. 2. Because you are not in a state of semi starvation as with relying on calorie restriction alone, you are not left constantly hungry; this makes keeping weight off much easier as you do not have to battle with hunger, a fight you will always eventually lose. 3. “Carbohydrate is driving insulin is driving fat storage” -Carbohydrates cause blood sugar to rise far more than protein, which has minimal impact, and fats, which have absolutely none. Increased blood sugar equals increased amounts of the fat-storing hormone insulin. 4. We do not actually need carbohydrates to survive! There are 3 types of foods; carbohydrates, proteins and fats. You cannot live without fats and proteins; they are needed to build hormones, muscle and strengthen the immune system, along with many other functions. Carbohydrates have no physiological requirement in the body. 5. Adding fats to your foods is a great way to add flavour, which makes complience with the diet much more likely. Most people can lose weight effectively by controlling their carbohydrate intake alone; if you still struggle to lose weight, restricting your callories should be your next step whilst still maintaining your carbohydrate restriction. Related article: How to Lose Body Fat and Get Ripped With Diet Alone? 3 TIPS FOR A BIGGER BENCH PRESS!